Listen. I got on the whole “blog” thing kind of late, ok. All of the good names were taken. It was either “pickles62143612.blogspot.com” or this. 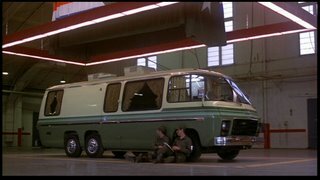 Everyone will recognize “em50” as the EM-50 Urban Assault Vehicle from tolerably hilarious film Stripes, which as everyone knows stars Peter Venkman and the guy from Night Court. Its a fine name so I took it. Plus the EM-50 is awesome and we all want to aspire to awesome. Reading of this blog does not guarantee your personal achievement of awesome, but it sure as hell is going to score you some points. Or you’ll click away from it in two seconds once you realize that this blog has nothing to do with the “actual” EM-50.